@belindathomas is on Carousell - Follow to stay updated! 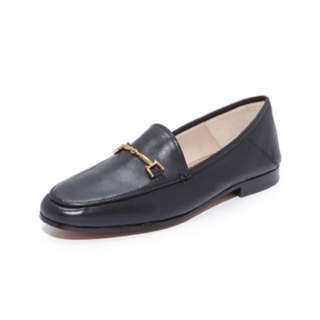 Size 8.5 - Supple leather Sam Edelman loafers accented with sleek hardware at the vamp. A padded footbed adds comfort. Low, stacked heel and synthetic sole. Size 8.5 - A printed scarf adds a charming touch to these metallic leather Jeffrey Campbell loafers. Stacked heel and synthetic sole. Brand new, never worn. Missed the returns date sadly! Leather: Cowhide. 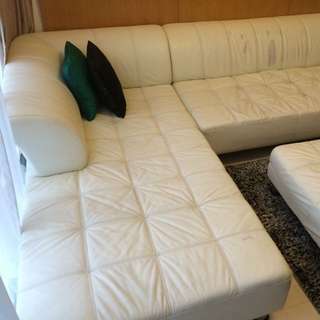 Second hand sofa available for pick up from Sentosa on 13 March 2019. This sofa has unfortunately been used by our cat as a scratching post for the past 3 years. 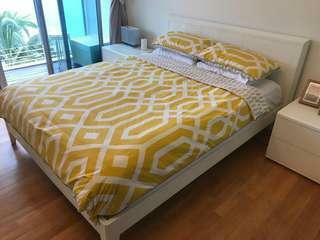 Australian Queen bed frame for sale. Excellent condition but with a few scratches as shown. Pick up from Sentosa. 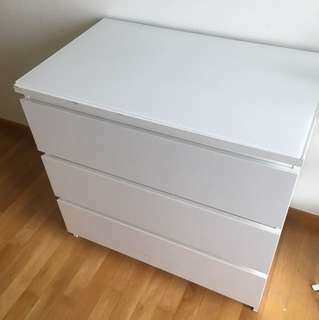 Used white chest of drawers from IKEA. A few scuff marks here and there but otherwise in good condition. White leather sofa with chaise and ottoman. 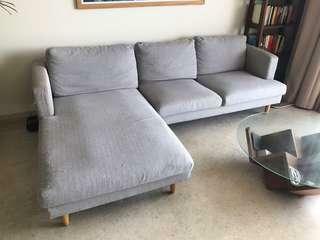 Needs reupholstering as leather is damaged in certain spots. Structurally sound and very comfortable and spacious. 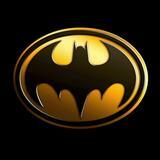 Must collect by Thursday 16 June.